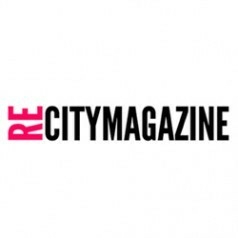 RECITY magazine invites architects, designers, artists, students, scientists and individuals of all backgrounds to explore, research and investigate new design paradigms and urban visions. In recent years, Turin and Piedmont have been experiencing a period of far-reaching international re-evaluation, both of their scientific and technological heritage and of their historical, cultural, artistic, sports, tourism, conference and wine and food resources. Turin is showing the world how to face the challenge of change and diversification with courage, forging itself a pioneering role as a workshop for experimenting and developing new entrepreneurial attitudes, alongside its more traditional manufacturing vocations. The city at the hub of Italy’s post-war industrial renaissance, Turin has developed a complex, articulated economic fabric, anchored solidly to the tradition of its automotive industry, but also markedly dynamic and innovative, featuring resources, expertise and centres of excellence that have nurtured the evolution of a multi-faceted entrepreneurial system in recent years: from information and communication technologies, audiovisuals and aerospace to scientific and technological research and the education and training necessary to support a wide range of new services for enterprise. It was in this fertile, productive terrain that the Turin location of Istituto Europeo di Designwas established in 1989, immediately making a mark for its constant, lively relationship with the local economic and entrepreneurial fabric. Situated in a charming residential area in the heart of the city, the school is home every year to hundreds of Italian and international students, who come here to study and work on projects set by real briefs from real firms. As a result, they are already learning to cope with the requirements of the real business world while they are still undergoing training and so find it much easier to get a first foothold in the working world.